One of the reasons for the book’s significance is that it covers traditional Korean martial art forms from which the modern, popular martial art of Taekwondo evolved. The book also includes martial arts which entered Korea from neighbouring countries such as China and Japan. 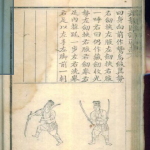 The illustrations in the book provide a detailed explanation of martial art movements including using swords and spears. The illustrations by famous Korean artist Kim Hong Do demonstrate the quality of Korean printing techniques at the time and are detailed enough to allow anyone to reproduce the illustrated movement. 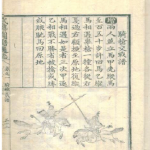 The name “Mu Ye Do Bo Tong Ji’’ means a manual of martial arts with illustrations. The book was donated to the Grand People’s Study House (State library at that time) in 1952 and there are no missing pages. 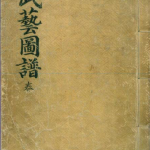 Other copies of the book are thought to have been lost during the Japanese rule of Korea (1910-1945).